Anytime I got freaked out by a creepy crawly as a child my mother used to say “it’s probably more scared of you than you are of it”. While I very much doubt that (do wasps and earwigs even feel fear!) this is the premise at the heart of this movie which sees a tribe of Yeti (aka Bigfoot) living above the clouds and constantly telling tales of the fearsome fictional “Smallfoot”. You don’t have to be Einstein to grasp that they are talking about humans. 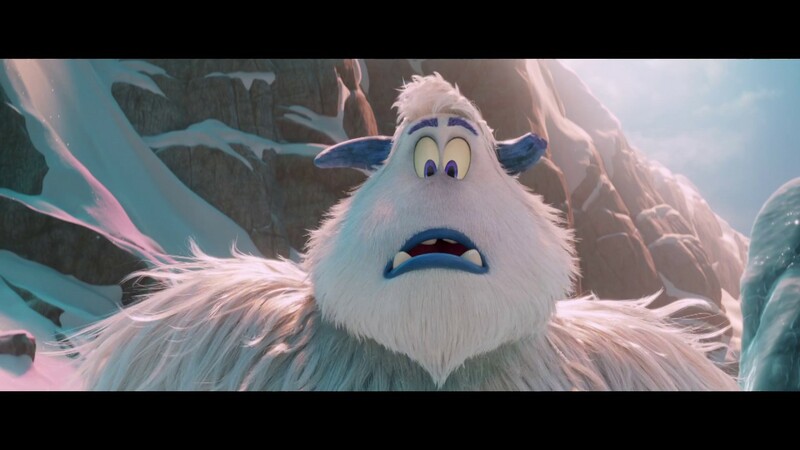 However, some of the younger Yeti aren’t convinced that Smallfoot is fictional and when Migo (Tatum) encounters a wildlife documentary filmmaker Percy Patterson (Corden) both think that their luck is in. Migo wants to show off his Smallfoot to the Yeti community while Patterson sees a way to revive his career which has been going through a bad patch. As is the way in these films, as the pair get to know each other they both learn new things and develop emotionally but not before we are served up a healthy dose of a moral message about acceptance and judgement. Obviously, this is aimed at a younger audience but most adults should find this good fun also. It is beautifully animated and the strong voice cast do a great job of bringing the characters to life. It’s peppered with catchy tunes that veer just the right side of annoying (although if your little one plays the soundtrack for the 100th time I can’t guarantee that will still be the case) and the story manages to be sweet without veering into saccharine. This is helped in no small part by Patterson’s sardonic humour (basically James Corden plays him as himself). It’s not quite up there in the annals of animated classics but it will definitely keep your kids amused. The moral message is somewhat in your face but should resonate with most people and if you have to sit through a children’s movie you could do worse than this. It’s a lot of fun and will leave you with a dose of the feelgoods.